The Settle hotels listed below are either in the town or we have given a rough guide as to how far they are from Settle. We hope you enjoy your stay and find your ideal accommodation. In the heart of the charming market town of Settle, The Lion at Settle dates from the 17th century and offers a bar, a restaurant, and free Wi-Fi in public areas. Built in 1841, this Grade II listed building has retained many period features, with converted and tastefully furnished interiors creating the warm and friendly atmosphere of a country house hotel. Hotel near Settle. Since acquiring the New Inn our aim has been to restore and develop it into one of the finest inns in the Dales. 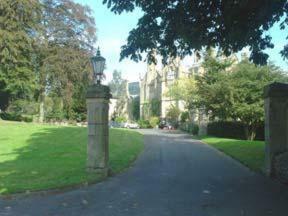 For hotels accommodation in other areas near to Settle Yorkshire see Kirkby Lonsdale hotels & Skipton hotels.